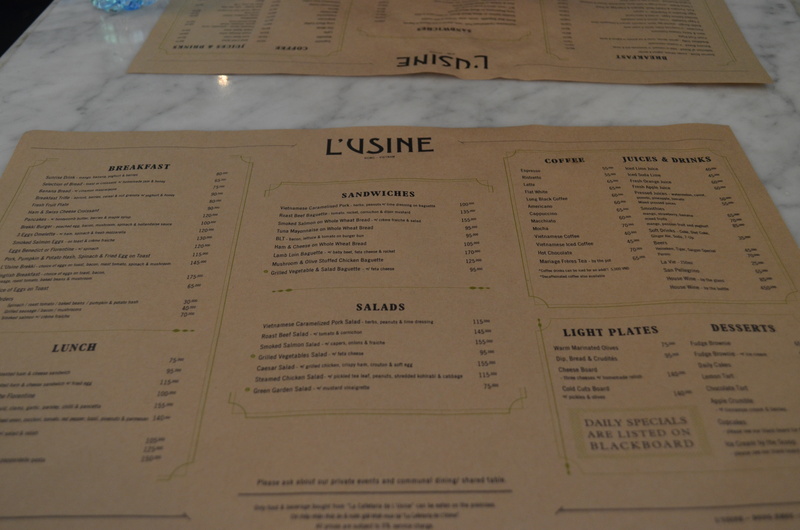 Another recommendation courtesy of our Shanghai friend Winston, L’Usine is a hip shop and restaurant/coffeeshop in District 1, tucked away in the second-floor of an otherwise unmemorable collection of galleries, boutiques, and scooter parking. 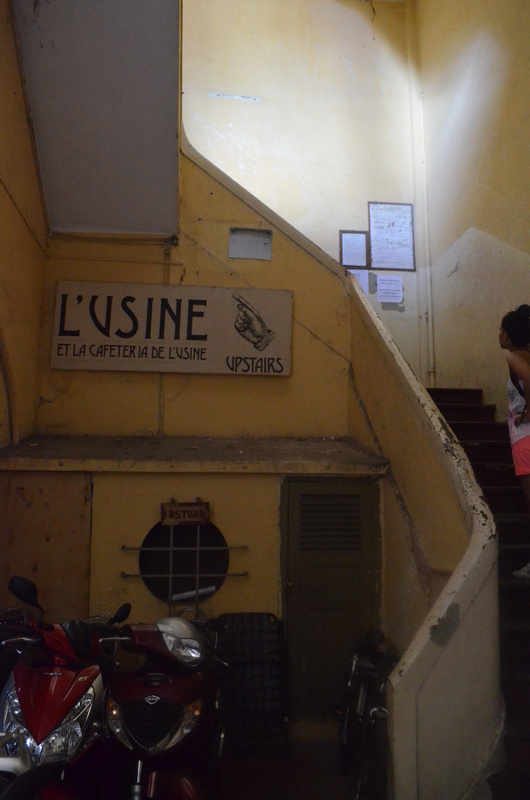 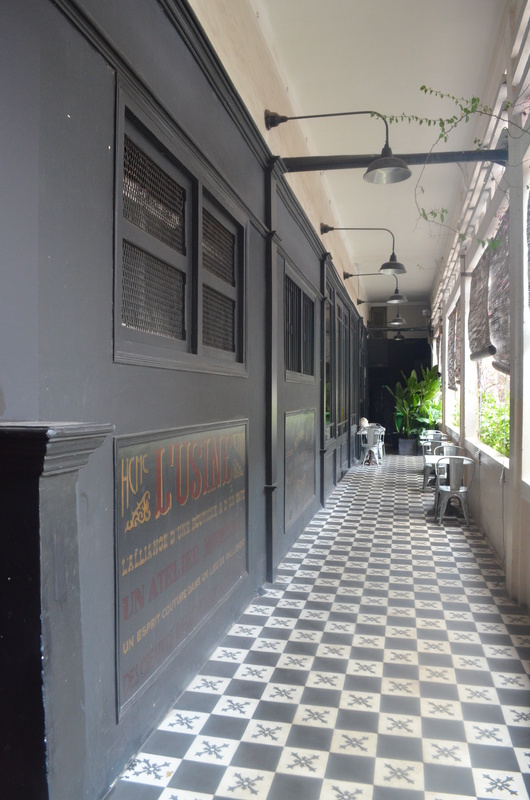 Up a narrow turn of stairs is L’Usine’s corridor, its tiling, color scheme, and signage very reminiscent of a nostalgic French bistro. 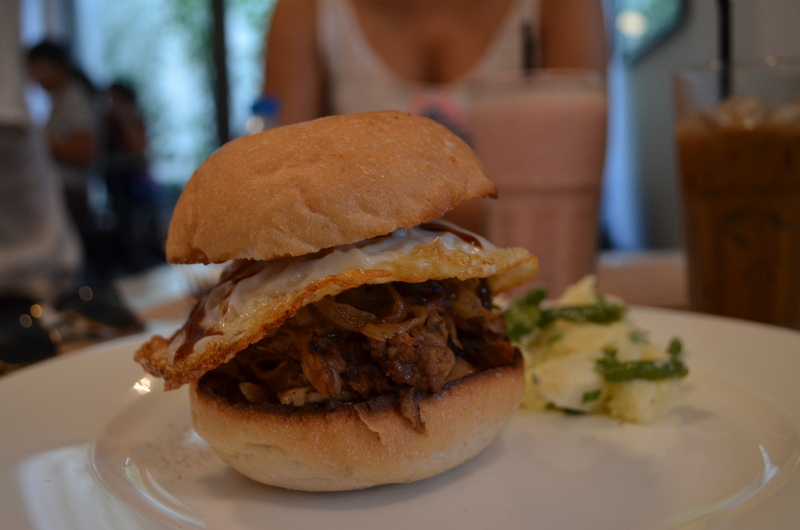 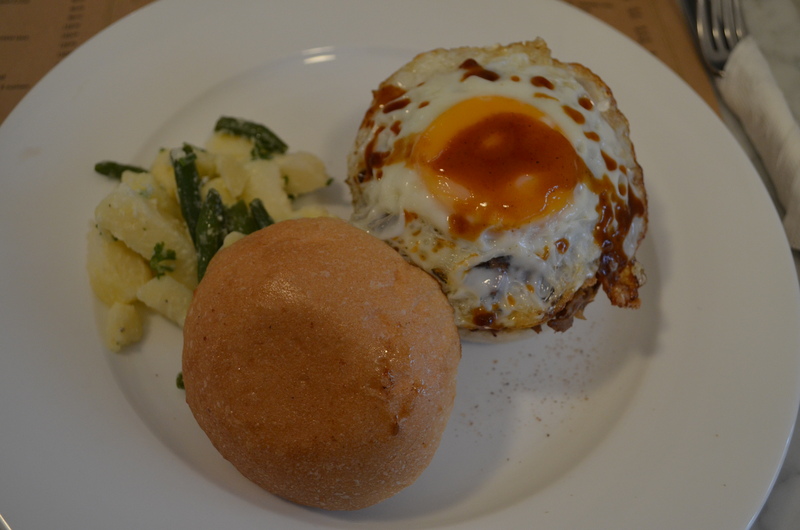 We stayed for lunch, ordering L’Usine’s take on banh mi and also a pulled pork sandwich with fried egg. 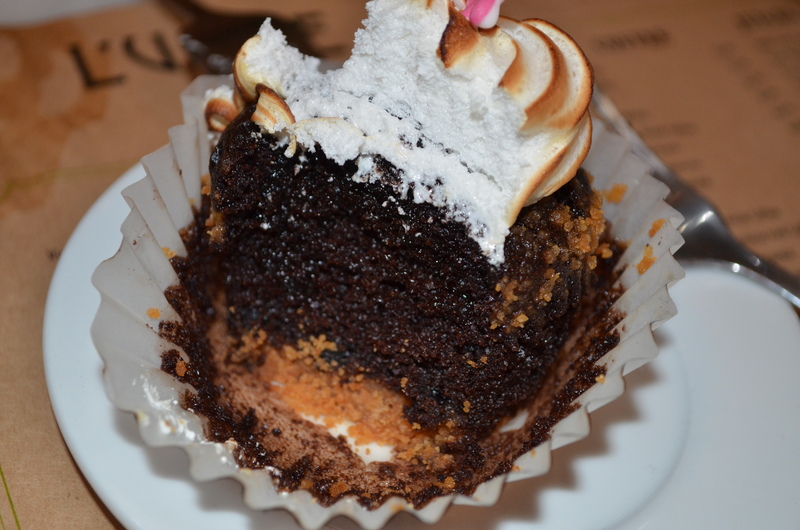 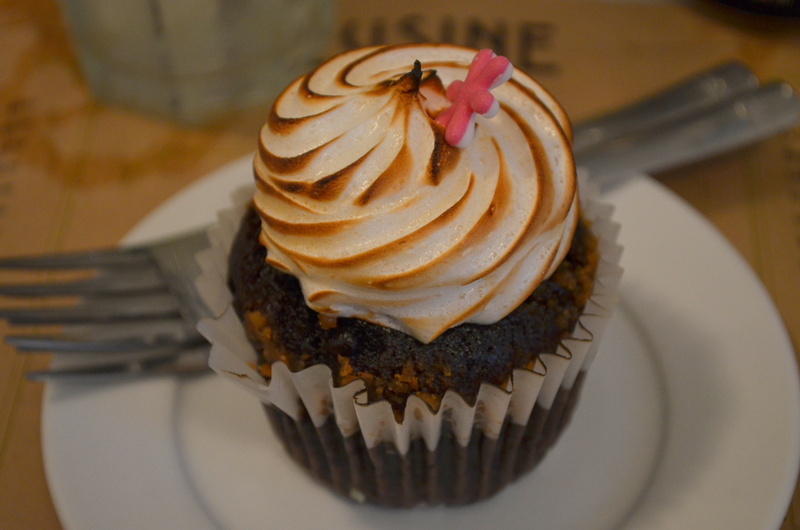 I got a Vietnamese iced coffee, and we finished with a s’mores cupcake. 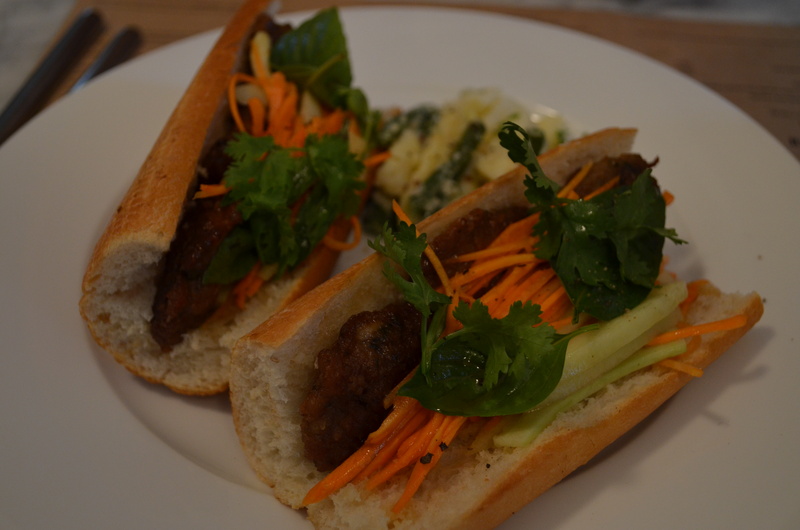 Our sandwiches were tasty and well-made, as were the drinks and cupcake, but I think I was a little disappointed by the sense of sterility in the menu, the lack of effort to utilize the most powerful and unique flavors of Vietnamese cuisine. 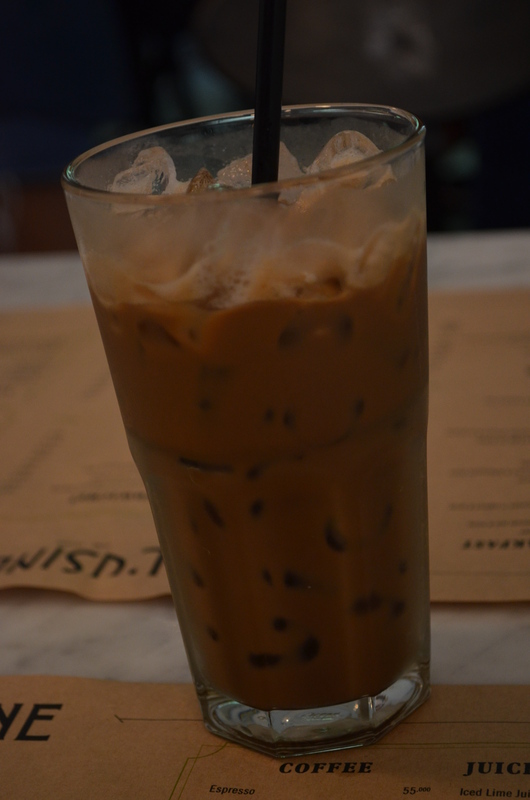 The space, however, was very inviting and robust, effortlessly mixing the earphone-and-laptop crowd with the boisterous batches of daytime drinkers that began to trickle in as we were wrapping up brunch, as well as the touristy two or three like us. 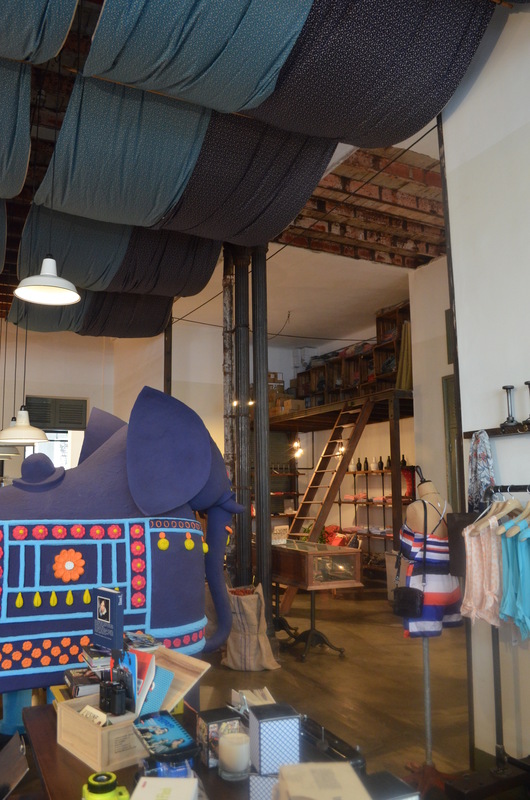 We passed on L’Usine’s collections of tees, dresses, shirts, and shoes, but they did have a sleek collection of clothes, as well as accessories (e.g., bowties, bags) with clean designs and a basic variety of colors, very Muji-esque in their economical aethestic. 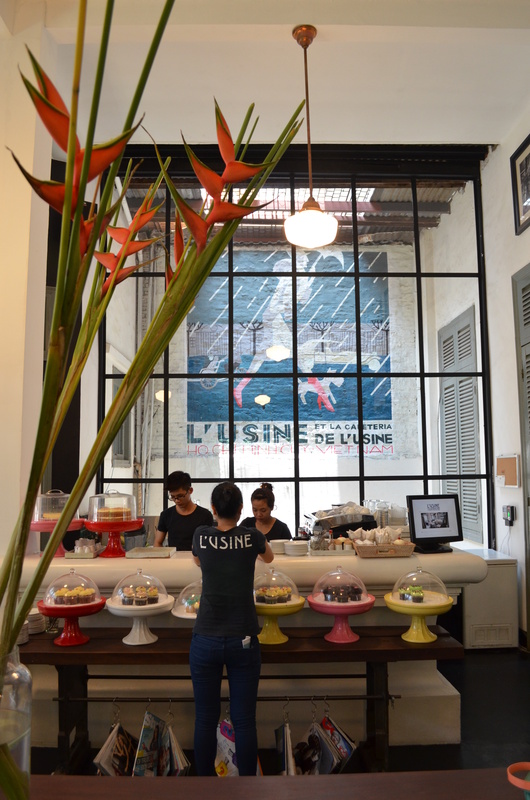 Very cool spot unexpectedly in the heart of Saigon.